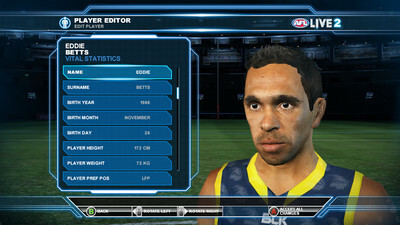 The latest in AFL video games has landed on the Android Market and while it's a fun game it does have some issues (lag, crash,etc). 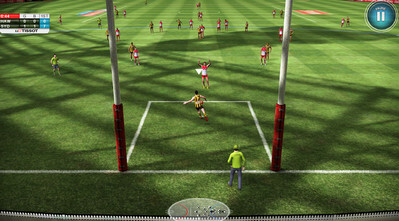 AFL LIVE 2 Apk version 1.1 (with full game data to download on fast links below) nails the basics of Aussie Rules much more so than other recent attempts and its gameplay is a convincing re-creation of Australia's homegrown version of football. However, it still suffers from some very frustrating bugs and inadequacies, like the constant lags, the poor AI, and the intermittent crashes. That's why you need -as the devs said- a high end device to play the game! - Go head-to-head with friends in real time multiplayer – Online! 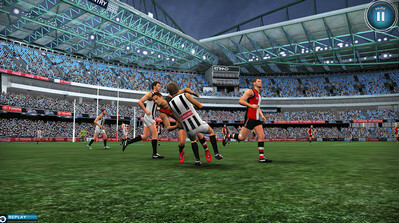 - Realistic stadia including Adelaide Oval, MCG, SCG and The Gabba. - Rich team tactics and combinations to personalise your strategy! Install APK, Extract Sd Data and copy 'com.hes.AFLLive2' folder to ‘sdcard/Android/obb/’, have fun! This application needs 3.8Gb of free space to extract and install, and will only run on higher end devices – see device compatibility before purchasing.